Do those words strike a chord with you? They hit me hard, because I know those feelings. That's why Spiritual Misfit hit home for me. Michelle and I come from very different backgrounds, but her story resonates in my heart. 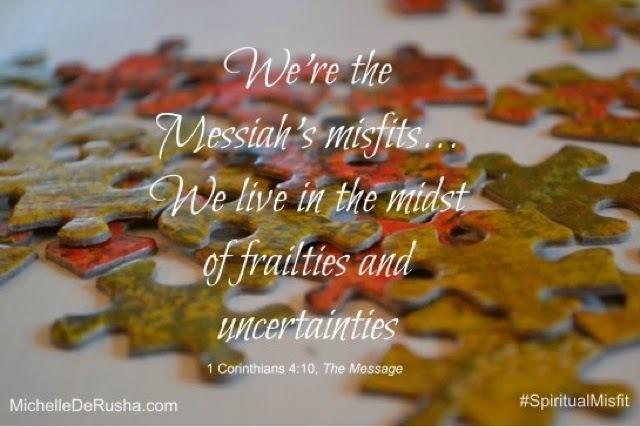 I've been the spiritual misfit - the one who felt like her faith wasn't enough, the one who looked around and felt completely out of place among seeming super-Christians, the one who feared that people would see behind the facade to the real me. I struggled for years before I started to truly grasp God's grace and overwhelming love. Michelle writes with so much honesty about her struggles with faith. She had me emotional on one page, and on the next she had me laughing until tears streamed down my face. Seriously, you will never look at Cheese-Its the same way again - and if you've ever nursed your children, you'll have to put the book down during chapter three. I promise, it's going to take a while to quit laughing. Spiritual Misfit is beautifully written. Michelle holds nothing back, sharing her highs and lows on her journey, her doubts and fears, and how God led her to Himself. 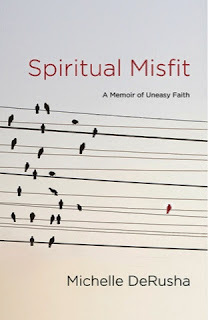 Thanks to the wonderful people at Convergant Books, I am giving away one copy of Spiritual Misfit. Entering is easy - check out the Rafflecopter giveaway below. You must be a resident of the continental U.S. to enter. 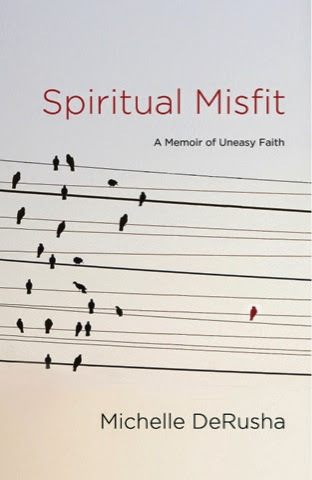 One last note: Starting May 1, I'll host a weekly book discussion on my blog, covering one chapter of Spiritual Misfit at a time. I'd love to have you join in! Pretty much every year when the nominating committee starts calling, I feel like a spiritual misfit ;). I want to help out, but I don't want to overstretch myself (been there, done that) and end up feeling resentful. I have a hard time saying no--especially when asked to do something that I KNOW is not in my area of giftedness. I have a hard time discerning if God's asking me to grow or if people just don't know me. Three of my mom's siblings are pastors. I was absolutely afraid to pray because I thought I would sound so terrible. It wasn't that I was afraid of praying. I pray to God all the time. I am very conversational with him. But praying for someone else, out loud, YIKES. God worked me through it. And now honestly, it is my favorite thing about being in ministry. One of the other things is simply that I do not have the clean record that many of the people I know have. I am redeemed and thrilled about it, but I often think "What if I was on the straight and narrow from the get go?"